Save 55¢ on any one (1) Tasteful Selections™ Product. Save $3.00 when you spend $12.00 on any Wisk® Deep Clean(TM) products by October 31, 2012.. Expires 10/31/2012. Between now and November 30th, 2012, save $5.00 when you spend $35.00 on Little Debbie® Snacks. . Expires 11/30/2012. Now through November 30, 2012, save $5.00 when you spend $20.00 on any Lean Cusine® Products.. Expires 11/30/2012. Save 50¢ when you buy ONE (1) PACKAGE any flavor 7 OZ. OR LARGER Pillsbury® Baguette Chips. Expires 10/31/2012. 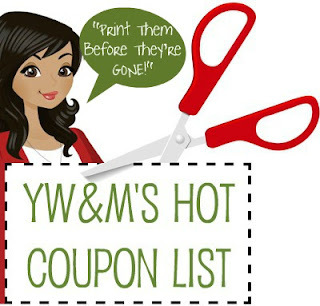 Save 40¢ when you buy SIX CUPS (6) any variety Yoplait® Yogurt listed in the info button below.. Expires 10/31/2012. Save 40¢ when you buy THREE CANS (3) any size/variety Pillsbury® Refrigerated Grands!® or Grands! Jr® Biscuits . Expires 10/31/2012. Save 50¢ when you buy TWO (2) any variety Green Giant® Valley Fresh Steamers® frozen vegetables (11 oz. or 12 oz. only). Expires 10/31/2012. Save 50¢ when you buy ONE BOX (1) Honey Nut Cheerios® cereal.. Expires 10/31/2012. Save $1.00 when you buy TWO PACKAGES (2) any variety Pillsbury® Refrigerated Cookie Dough . Expires 10/31/2012. Save 60¢ when you buy THREE (3) Old El Paso® products (Excludes Old El Paso® Refrigerated, Frozen OR Soup products).. Expires 10/31/2012. Save 75¢ when you buy any (1) flavor/variety Cascadian Farm® product.. Expires 10/31/2012. Sold Out. Save 50¢ when you buy ONE POUCH (1) any flavor 14 OZ. OR LARGER Betty Crocker® Cookie Mix. Expires 10/31/2012. Save 40¢ when you buy any TWO (2) Pillsbury® Sweet Rolls OR Grands!® Sweet Rolls. Expires 10/31/2012. Save 50¢ when you buy any TWO (2) Pillsbury® Crescent Dinner Rolls. Expires 10/31/2012. Save 50¢ when you buy any ONE (1) BOX Cocoa Puffs® or Cocoa Puffs Brownie Crunch® cereal.. Expires 10/31/2012. Save 50¢ when you buy TWO (2) BOXES any flavor/variety Fruit Flavored Snacks listed in the info button below.. Expires 10/31/2012. Save 50¢ when you buy ONE (1) any flavor/variety Betty Crocker® Shake-N-Pour(TM) Desserts.. Expires 10/31/2012. Save 50¢ when you buy TWO CUPS (2) any flavor Yoplait® Greek yogurt. Expires 10/31/2012. Save 75¢ when you buy TWO (2) packages of Pillsbury® Rolled Refrigerated Pie Crusts. Expires 10/31/2012. Save 75¢ when you buy THREE (3) any flavor/variety Pillsbury® Toaster Strudel® OR Toaster Scrambles® Pastries OR Pillsbury® Pancakes. Expires 10/31/2012. Save 40¢ when you buy ONE BOX any flavor Fiber One® Chewy Bars, Fiber One® 90 Calorie Chewy Bars or Fiber One® 90 Calorie Brownies.. Expires 10/31/2012. Save 50¢ when you buy ONE (1) any flavor 4.5 OZ. OR LARGER Chex Mix® OR Chex® 100 Calorie Snack.. Expires 10/31/2012. Save 50¢ when you buy TWO (2) any flavor Betty Crocker® boxed Potatoes (Except Potato Buds® and Betty Crocker® Pouch).. Expires 10/31/2012. Save $1.00 when you buy FOUR (4) CANS any flavor Progresso® Soups.. Expires 10/31/2012.